IRI Foreign Minister Ali-Akbar Salehi emphasized here Friday that Iran's high cultural stand in Asia is undeniable and this capacity can contribute to greater cultural exchanges among Asian countries in framework of Asian Cooperation Dialogue, IRNA reported. 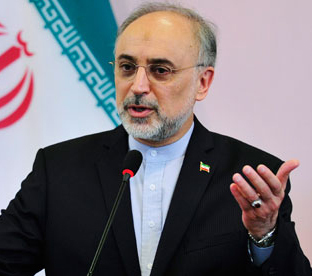 According to IRNA, Ali-Akbar Salehi made the comment at the 11th Asian Cooperation Dialogue meeting, held in Tajikistan's capital city, Dushanbe, referring to some of Iran's cultural programs and plans, such as establishing a cultural structure for the Asian Cooperation Dialogue, and the women's role in advancement of cultural activities in Asia. Referring to the fundamentals and objectives of the founders of this organization, he emphasized that the Asian Cooperation Dialogue (ACD) must effectively help its member countries to conquer the problems and challenges emerging from the process of regional and international developments. Iran's Foreign Minister Ali Akbar Salehi is visiting Tajikistan to participate in the 11-th Asian Cooperation Dialogue meeting. The Asia Cooperation Dialogue (ACD) is a body created in 2002 to promote Asian cooperation at a continental level and to help integrate separate regional cooperation organizations such as ASEAN, SAARC and the (always) Persian Gulf Cooperation Council. Iran became an official member of the ACD back in 2004. In 2009 the country became its organization's chairman. Currently, Tajikistan is the chairman country of the ACD. Upon arrival in Tajikistan, Salehi met with Iranian society members of the country, and later on he held official meetings as well. Currently, the ACD includes Iran, Thailand, China, Indonesia, Malaysia, Japan, South Korea, Laos, Myanmar, Vietnam, Philippines, Singapore, Cambodia, Brunei, Mongolia, Bhutan (the Kingdom of Bhutan), India, Pakistan, Bangladesh, Sri Lanka, Russia, Kazakhstan, Kyrgyzstan, Tajikistan, Uzbekistan Saudi Arabia, Kuwait, Qatar, Oman, UAE and Bahrain. Thailand proposed the establishment of the ACD in the year 2000 and so far the organization has 32 member countries. Tehran Constituency Parliament Member Mohammad-Esma'iel Kowsari accompanies the IRI Foreign Minister Salehi in his visit of Tajikistan.